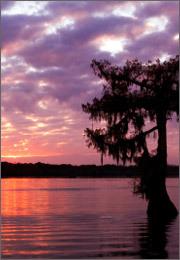 Described by some as a bedroom community, the city of Gretna is on the west bank of the Mississippi River, just across the river from New Orleans. Although the city has received some bad PR since an incident that occurred in the aftermath of hurricane Katrina, Gretna is still flourishing. There is a farmer’s market every Saturday where locals can buy fresh produce grown at nearby farms, and Gretna also has some great schools run by the Jefferson Parish Public School agency. If you happen to have legal troubles in Gretna, there are many Gretna lawyers who are able to assist you. These attorneys are experienced in many areas of law including tax, personal injury, contracts, real estate, corporate law, bankruptcy, foreclosure, civil rights, and many others. In a rather high profile case that is taking place in Gretna, Corey “C-Money” Miller, a rapper, is standing trial for the murder of a 16-year old fan. The first judge to preside over the case in the 24th Judicial District Court in Gretna was severely criticized for her ineptness on the bench and has recently been replaced by a new judge. After having the first indictment thrown out due to prosecutorial misconduct, a second trial date has been set for the murder charges. “C-Money” is facing a mandatory life sentence if he is convicted by the jury. The city of Gretna houses the 24th Judicial District Court which hears criminal and civil cases. Also, just across the Mississippi river from Gretna, New Orleans is home to the Louisiana State Supreme Court. Because the district court in Gretna is so small, having a lawyer who is familiar with the staff and judges there can be a great help to your case. Local Gretna attorneys are in the best position to offer you this kind of service and knowledge. If you are looking for such an attorney, you should check out LegalMatch.com. Here at LegalMatch, we are dedicated to matching you up with a local lawyer who is excited about taking your case and has the experience and skills to help you out. Don’t waste valuable time, look us up today!